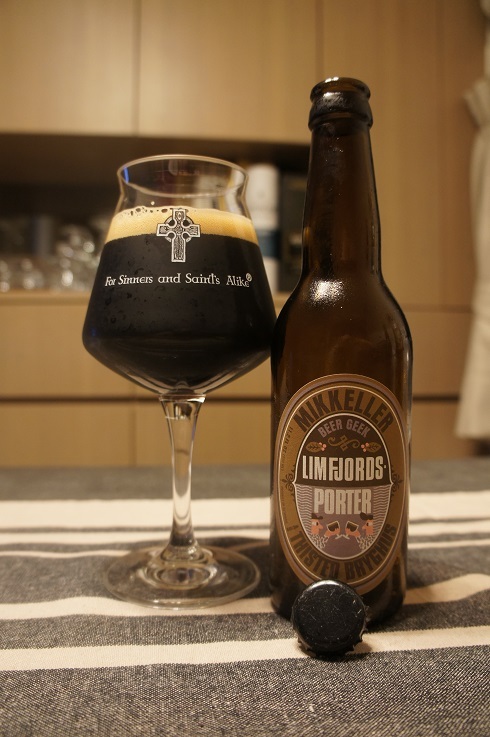 Brewer Description: (from ratebeer description) Beer Geek Limfjordsporter is a double stout with coffee and licorice. 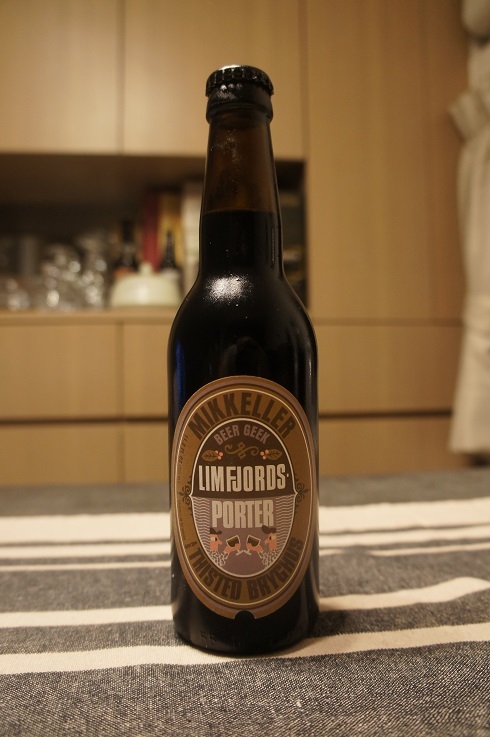 A collaboration between Mikkeller and Thisted Bryghus, based on the world’s best stout “Beer Geek Breakfast Stout” and “Limfjordsporter”. Intro: A 330ml bottle with a best before date of 17th May 2018. Poured into a Lost Abbey teku glass. Appearance: Black in colour with a one finger dark tanned head that dissipated fairly quickly while leaving some sparse spotty lacing. Aroma: Roasted malts and coffee with a light smokiness. There is also some chocolate and liquorice in the background. Taste: Rich bittersweet chocolate, coffee powder, light burnt smokiness with hints of liquorice and prunes. Nice balance of sweet and bitter. Overall: I think I was surprised about how good this was, in particular that rich bittersweet chocolate flavour. Very enjoyable.